Light-emitting diode (LED, LED diode) – type of semiconductor diode, that also belongs to the category of optoelectronic components. Typical LED’s construction is based on “p-n semiconductor crystal junction” (more about “p-n junction” here). 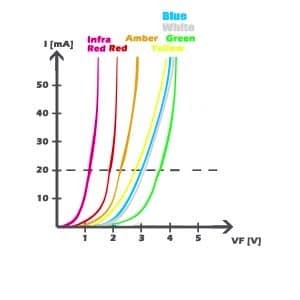 After LED has been polarized by positive electric voltage (forward-bias) that exceeds it’s threshold voltage value, it will start emiting electromagnetic radiation in the visible and infrared light spectrum. 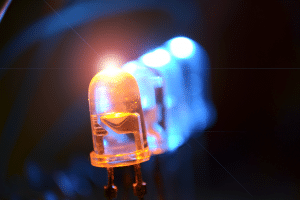 Color and wavelength of light radiation emitted by LEDs are closely connected to the semiconductor material from which it was produced. Usually, they are manufactured from compounds (bicomponents and multicomponents) of chemical elements from 3rd and 5th group of the Mendeleev’s Periodic Table (for example, GaAs – gallium arsenide, GaP – gallium phosphide, GaAsP – arseno-phosphide gallium with right-doping). 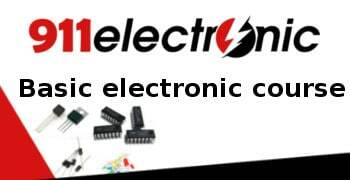 Elemental composition of the diode is assorted in a way that semiconductor structure obtained in the process will allow the emission of light in the desired spectral range. “p-n junctions” of LEDs with GaAs are mostly produced with a diffusion technique. It ensures a high quantum efficiency. Group of interconnected diodes are used in various types of displays for example in seven-segment displays. Smooth change of wavelength is accompanied by analogous change in color. In the table above we’ve put ranges of wavelength values in length-order to improve envision of the relation between wavelength and diode color. The LED characteristics show that the color of the diode affects the power consumed by that LED. LEDs emitting infrared color consume the least amount of power, where white color consumes the most. This is because different diodes have different threshold voltages. You can see that on the LED characteristics shown below. The operating principle of Light-emitting diode is based on the electroluminescence phenomenon (producing electromagnetic radiation under the influence of the electric field). Electroluminescence occurs as a result of recombination (annihilation) pair of carriers (electrons and electron holes) in the area of the “p-n junction”. While electrons flow from higher to a lower energy-level, power dissipation occurs as a heat (non-radiative recombination – at semiconductors with n-oblique energy gap) or light (radiative recombination – semiconductors with a simple energy gap). During this flow, electron energy is converted into a quantum of electromagnetic radiation. The dynamic development of electronics that we are witnessing today would not be possible without simultaneous researches in interdisciplinary science called nanotechnology. We have reached such a point that we are not surprised by the flexible LED screens used in TVs, mobile phones, smart watches or even in clothing. Device, as a whole (electronic circuit and components) is incorporated into a paper-thin and even transparent foil. 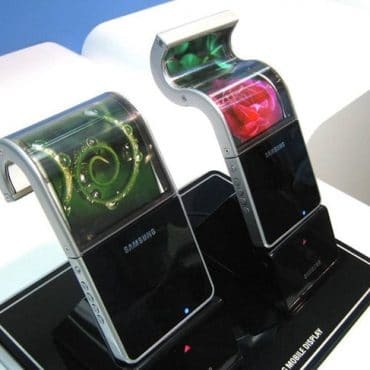 Rapid growth of OLED technology was also one of the reasons for further development and popularity growth of flexible electronics. Such solutions enable users to interact with such devices by twisting them, bending or folding across both planes. As a flexible display advantages we can consider e.g. cheaper manufacturing process, exploitation, which may translate into the final, cheaper price in the electronic stores in the future. HB LED (High Brightness LED) – diodes with high brightness. They are used in automotive, traffic lights, streetlights or in frontal bicycle lights. ESR ~= 16 Ohms for 65mW and 0.5 to 1 Ohm for 1 Watt diodes. 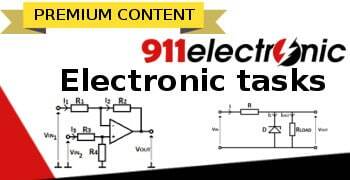 All diodes have a threshold voltage and a rated Vf at some rated current which includes the ESR of the bulk resistance. 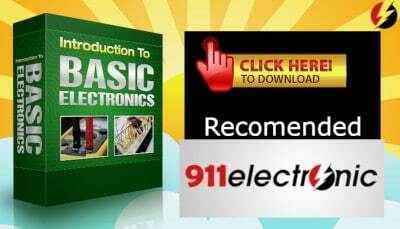 The ESR is inversely proportional to the rated power of any diode including LEDs and the product term of ESR at rated current * Watts at some temperature like 25’C or 85’C is equal from 1 to 2 Watt-Ohms. Informative article, јust what I wanted to find.